1. 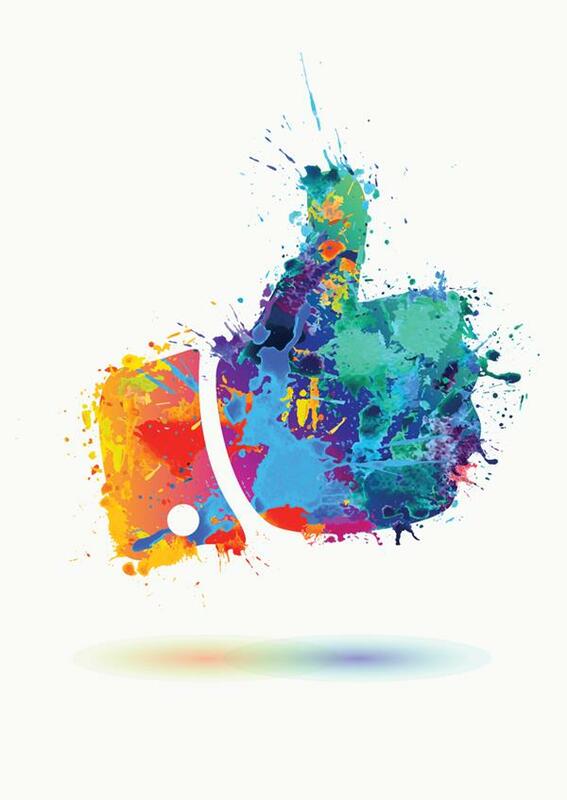 Facebook is set to unveil a new feature called “Facebook Watch” which allows new ways for existing Facebook users to engage with short-form video content. 2. GIPHY is starting to monetise sponsored GIFs within messaging platforms. 3. Google is releasing Stamp, combining Snapchat’s story layout and the high-speed AMP platform to facilitate new ways for people to consume news. 4. The recently released Nokia 8 phone allows photos or videos to be taken with both the front and rear camera simultaneously; creating the "Bothie". 5. Snapchat has introduced “Crowd Surf”, lacing together videos from multiple angles of a live concert to create a video. At the end of August, Klick Communications celebrated it's 9th birthday by attending an out-of-this-world night tour at the Sydney Observatory, while our Honolulu office visited the J. Watumull Planetarium at the Bishop Museum and our L.A team hiked to enjoy views over Santa Monica. In Sydney, the clouds moved aside just enough for us to view our very own Klick Star, alongside Saturn and Jupiter. We were treated to an astrology session of sorts inside the Planetarium, looking at all the constellations, and gazed at the Moon's craters from a 143 year old telescope - the oldest in Australia. 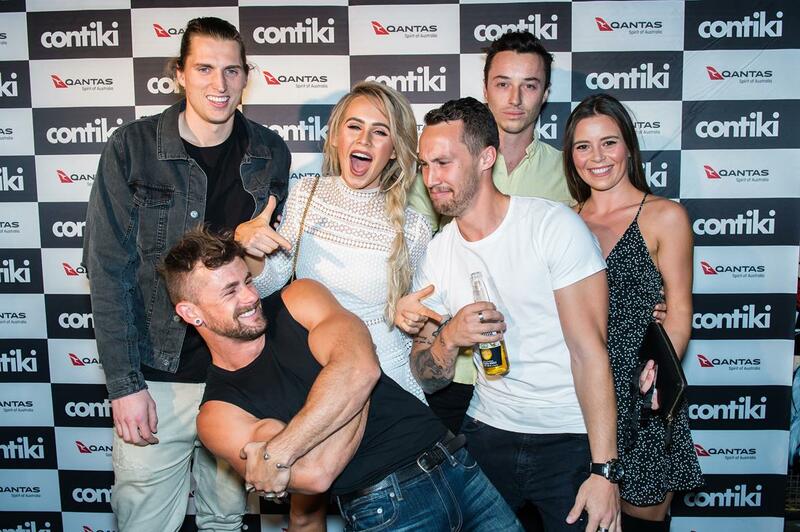 On Wednesday 6 September, Contiki hosted their epic annual Legends Party at the Metro Theatre to celebrate the launch of their new tour concept, Independent Insider. Media, celebrities and social influencers were treated to live performances from KLP and Furnace And The Fundamentals as they witnessed the unveiling of Contiki’s new trip offerings. Independent Insider has been designed with the new millennial traveller in mind, to offer them the ultimate freedom and flexibility. This new tour concept is set to shake up the youth travel game and redefine solo adventuring across the globe. In July, Klick and Coral Expeditions participated in the Spirit of Papua New Guinea festival at the Marina del Rey Hotel. The event brought Papua New Guinea to Los Angeles through immersive and interactive demonstrations. Guests experienced traditional customs like face-painting, wood carving and more, including special performances along the waterfront. 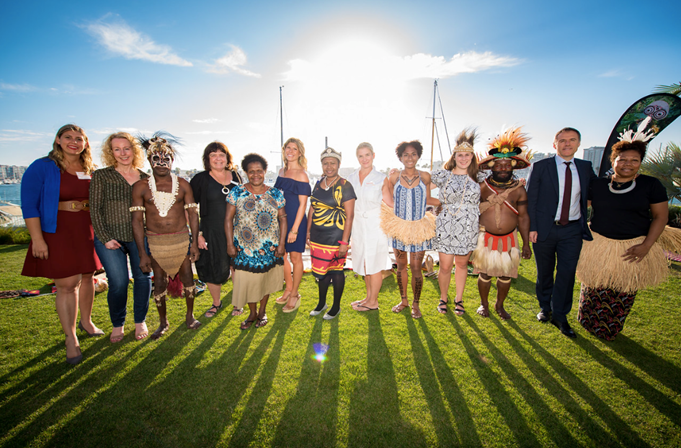 Several locals from Papua New Guinea attended the festival, including Mundia, a Huli tribal chief, Dennis, an expert wood carver, and Lucy, a talented dancer! The spectacular sunset over the Marina del Rey harbor was the perfect backdrop for the evening. The Langham Hospitality Group is set to further expand their footprint in the Pacific region over the coming years, as told by Robert Warman, CEO of Langham Hospitality Group at an intimate breakfast at The Langham Sydney in August. Robert shared Langham's exciting plans for growth and development, including the upcoming rebrand of The Langham Auckland to Cordis Auckland on 1 November this year. 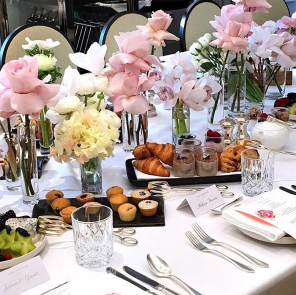 Guests were treated to an indulgent breakfast of pastries and fruit, truffle mushrooms, smoked salmon and (everyone's favourite) - smashed avocado and feta! 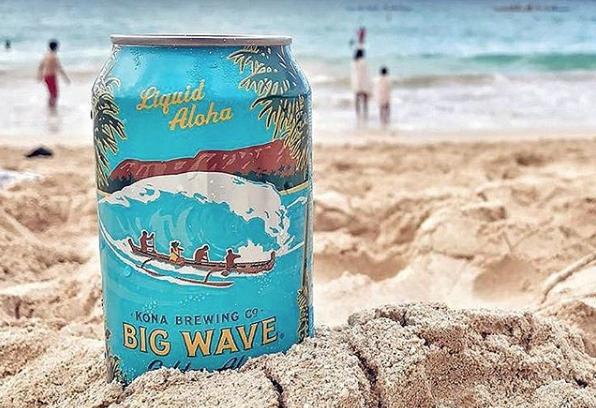 Kona Brewing Company​ was announced as a finalist in the 7th Annual Pacific Edge Magazine Business Achievement Awards for the Best Social Media Campaign of 2017. We are proud to announce that our Director and Founder Kim McKay will be speaking at the 2017 Global Tourism Summit in Honolulu, Hawaiʻi in September. Presented by the Hawaiʻi Tourism Authority (HTA), the three-day Global Tourism Summit takes place at the Hawaiʻi Convention Center. This year's theme is 'Sustainability', with a focus on the significance of Hawaiʻian culture, global marketing, technology and innovation and a collective focus on improving tourism in Hawai‘i and abroad. The 2017 Global Tourism Summit allows local and international travel and tourism professionals to collaborate on current industry trends, strategic alliances, and emerging opportunities. Click here for a look at the 2016 highlights. On 13 August, Balmoral Beach transformed once again into Sydney's iconic pop-up wine destination for the 27th annual Mudgee Wine & Food Festival. 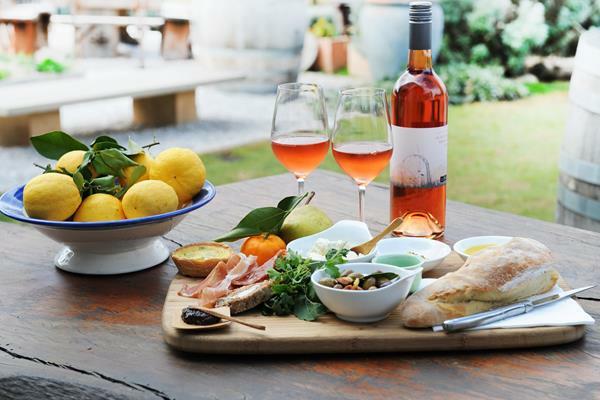 The Mudgee Wine & Food Festival is Sydney's longest running regional wine and food fair. Spanning the entire foreshore of Balmoral Beach, food and wine lovers from across Sydney were able to taste the best of Mudgee and meet the growers behind the award-winning food and drink produced throughout the region. 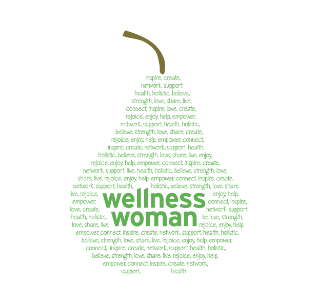 This Sunday, 10 September, Klick's Director Kim McKay will be speaking at the 2017 Wellness Woman Conference at Leichardt Town Hall. Now in it's 5th year, the conference has an incredible line-up of speakers aiming to bring women in business together to connect, inspire and elevate each other. These women aim to evoke meaningful conversations on important topics for women invested in their professional and personal development. For $40 off the original ticket price, use code FRIENDOFWW before 9am Sunday.